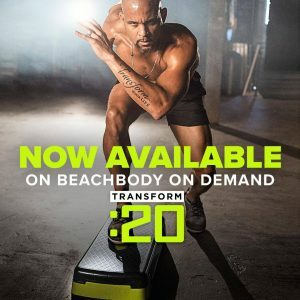 I just completed week one and I wanted to share my Transform: 20 workout reviews with you because I feel like everyone needs to know about a good workout that only takes 20 minutes. Even though the workouts are only 20 minutes they aren’t exactly easy! But that’s okay. All you can do is go at our own pace and keep pushing yourself to get the most out of it. I decided to start sharing my workouts again but I’ll only post one weekly update of all the workouts I did in the past week. 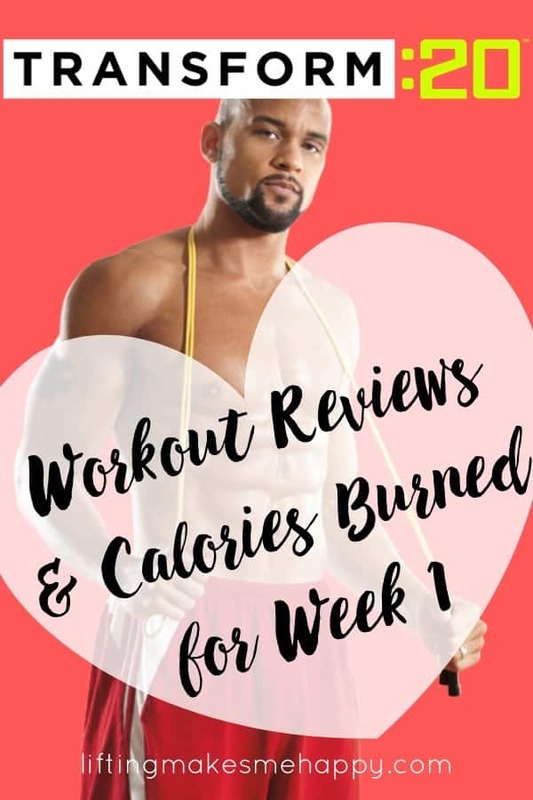 When I first started this blog I wrote and posted my workout every day I worked out to help me stay accountable. I promise if you search “daily workout” you’ll find them! *All of my stats are based on my Apple Watch workout stats. *Note: I am sharing the calorie burn for the first 20 minutes of each workout. The stats outlined below do NOT include the cooldown that happens right after. (Monday). This did burn all the things! Mostly my lungs and my legs. Also my arms. I wore my Apple Watch all day today not even realizing the battery was dead so I don’t have any data for this workout. Can you say brain fart? *Updated to add stats after doing the workout again while actually wearing my watch. Calories burned: 158 active (190 total) in 20 minutes! On Tuesday I picked up B from school early because his grade was taking a pre-ACT test and were released after they finished. I don’t get much time alone with each of our kids so I spent some time with him after we got home and then I decided to just do a treadmill hiit workout. If I’m feeling like a run, I gotta take advantage of those moments! (Wednesday). This was also a lung burner. And it was definitely faster. Although day 1 felt pretty fast to me… haha. This one was hard and I followed the modifier whenever I needed to. I tend to get a little frustrated when I can’t keep up with Shaun T. because he counts out loud and I’d like that to be my rhythm too but I have to just try to go at my own pace. I know that’s what I’m supposed to do. Today I just kept telling myself “don’t quit. don’t stop. just keep going.” I did have to take a few seconds to breathe at times but I always jumped right back in. Calories burned: 181 active (212 total) in 20 minutes! (Thursday). This workout was hard but I liked it. It had a lot of bodyweight strength exercises for legs, chest, triceps, abs and more. The pace was a little slower but it still kept my heart rate high because of the strength moves. I liked this one more than faster. I do not like fast. Haha! I was able to keep up a little better than the previous two workouts but it was still tough. Have I mentioned yet that I am not using a step at all? If you’re a beginner or you just don’t have a step, you can start without it. I promise it’ll still be challenging! I couldn’t keep myself from laying down after this workout and I took a good 45-minute nap afterward and it felt really good. Haha. Calories burned: 168 active (199 total) in 20 minutes! (Friday). When I heard this workout had “power” in the title I figured it’d be some type of plyo workout and I was right. There is a lot of jumping — again, you can follow the modifier which I did plenty of times. My endurance isn’t great so I can’t jump for too long before it feels like my heart’s going to beat out of my chest! My face was BEAT RED after I finished this one. I was gonna take a picture but I forgot and just jumped right into the shower because I really needed one! I will also note that I crashed at about 5pm and slept for about an hour. These workouts are wearing me out! I’m also slightly sore after yesterday’s workout. Calories burned: 178 active (209 total) in 20 minutes! (Saturday). I really, really liked this workout. It was challenging like all the others have been but the pace is slower which I appreciate. I don’t always like jumping around! As you’ll see below it still kept my heart rate up. Calories burned: 166 active (197 total) in 20 minutes! (Sunday). This workout was harder than I thought, but I still loved it. I was thinking this workout was going to be mostly stretching but I was wrong. It was similar to yesterday’s workout (Cut) but the pace was even slower. No crazy cardio in this one! I enjoyed all of the slow-pace bodyweight strength moves. As you’ll see below the calorie burn is a little lower and my average heart rate was a little lower too but I was definitely shaking and sweating by the end. Calories burned: 118 active (149 total) in 20 minutes! I LOVE that it’s only 20 minutes. I don’t have a lot of time in between getting off work and all the kids coming home from school so I can sneak this in super easy and be done before they get home. Shaun T. is so motivating. I need to write down all of his quotes, there are so many good ones! I hope you’ve found this review to be useful in deciding whether or not Transform 20 is something you want to try. Streaming is the future so you’ll only find this workout available on Beachbody On Demand. You can try two weeks free and choose from 3-month, 6-month or 12-month membership. I’m going to try and complete this entire workout program. Since there has been no equipment used I’m really starting to miss my barbell and using weights but I’ll try to stay with it. Previous Post: « How Long Does it Take to See Results from Lifting Weights?